Self description: I'm simple and charming by nature. I like to hang-out with my friends sometimes but most of all I cherish the moments I spend with my family. I like also to go other countries to travel. 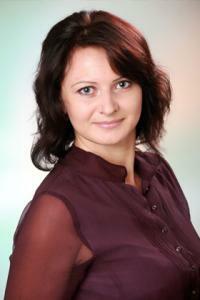 I'm open-minded person, cheerful and a sociable person. Also I'm very romantic by nature. I like to spend time out of my home close to nature as it gives me good mood and inspires me for new day). I like to communicate with new and interesting people. Due to my work I meet many people a day and I try to help all of them as they need not only a doctor but a person who will listen to them and understand. Love for me is the greatest gift for all. It must be union and shared forever. Hobbies and interests: Parks, meeting with friends, reading, dance, cooking, nature. These are my main hobbies, which I enjoy in life but all my free time I try to spend with my dear son. What you are looking in your partner: I want so much to find a man who's open-minded, sincere, one woman man, understanding, down-to-earth, caring and romantic. I want a man who will love me with no exceptions at all. A man who's simplicity is beyond any limitations in the world. Someone who will never ever leave me in times of need and desperation. A man who will love me for the rest of my life and most of all, he will treat me that I'm his one and only.